Model 20SF 10mm Standard FS 15rd Description The GLOCK 20 in 10 mm provides massive firepower. The use of the recoil-damping GLOCK hi-tech polymer considerably reduces recoil. With muzzle energy of 750 Joule and a magazine capacity of 15 rounds, it is the reliable companion on every hunt. It allows a safe and accurate finishing shot even when hunting big game. Wanted a reliable 10 mm handgun. Glock reputation; firepower and high capacity magazine. As always great price from Grabagun! 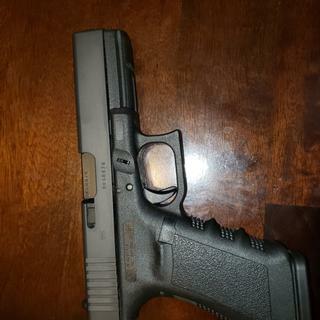 I have been thinking about a 10mm for quit some time now and what better than a Glock 20 there built like tanks I already have a 21SF and a 32 357Sig and love them both, Great shooters. Brand reputation, quality construction, excellent value, prior experience. I like to hunt and protection. Is this a Gen 4? BEST ANSWER: No, I would consider the Glock 20 SF a Generation 3. 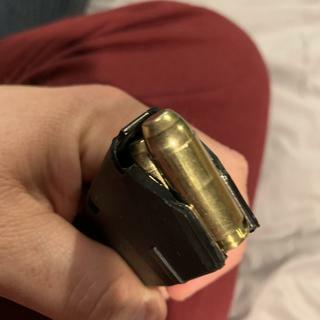 No additional backstraps and ships with only two magazines. No its a Gen 3. Best Glock on the market and auto pistol. Best bang for the buck. Excellent gun. I put talon grips on it because factory grips are a little slippery. Gun shoots like a dream and very accurate. Highly recommend it. Grabagun has the best price!! You cant find a better 10mm at any price! One of the least expensive, yet hands down the best 10mm on the market. I have an $1800 10mm (along with a few others), and dont get me wrong, I love it. But apples to apples with no consideration of price, the winner is the G20. Accurate, ergononic and Glock Reliable. Yes, thats several steps above reliable. The Glock 20 is an awesome firearm, and I couldn't be any happier with grab a gun. A good price, and fast service. I would definitely use grab a gun again. Finally got to range with this bad boy this past Sunday and I am very pleased with the pistol and the 10mm round, recoil was way lower then expected, my G32 357sig kicks a lot harder, and the pistol was very accurate, and of coarse GRABAGUN had the best price. Awesome customer service once again. This is my 2nd purchase with Grab a gun. Ordered this on Friday, picked it up on Tuesday. I could not be more impressed with this company!! I can't wait to get this pistol to the range. My first 10mm. Probably not my last. lovet the gun love the service! this is my first glock and i'm sold, this is the smoothest most reliable pistol ever. and as always grab a gun service is second to none. it is a real pleasure dealing with this company they aim to please.